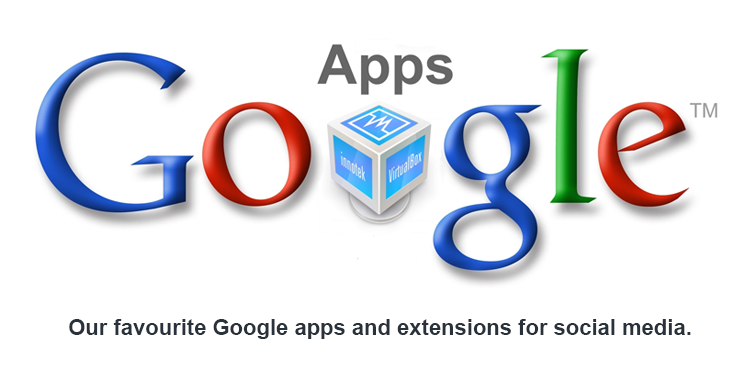 We do love Google apps and extensions. The cloud based Google products and third party apps provide a smorgasbord of fantastic social media management options that can really make your brand increasingly efficient. So, with this in mind, we’ve come up with a list of some of our favourites. The guys at Zoho are a well-known bunch in the Google apps arena thanks to their documents app. Zoho Campaigns is a piece of software that combines email and social media, as well as relationship management. Zoho Campaigns is a one stop Google Chrome shop for organising campaigns. It packaged with a range of options, allowing you to schedule social media posts, includes an array of stats on the posts and also integrates with a number of Google’s own cloud offerings including Drive and Spreadsheet. Another great app. This plug in works in tangent with your Google Apps and your WordPress platform, allowing you to directly embed files from the Drive or post images from Google owned Picasa service. You can utilise Google Calendar for scheduling and the whole thing is an open source free plug-in, those that use Google’s apps and WordPress sites will love. For businesses that want to improve their social customer relationship management – this app makes it simple. Rapportive allows you to utilise Gmail to amalgamate all the contact details, photos, locations and social media information that Google supports in one place on a nice clean template. It’s very useful, provides clear information and is completely free. This is a very useful little app. It comes with eight different template social media campaigns These templates allow you to create sweepstakes, photo competitions, group offers and also create custom forms, along with much more. Wishpond also includes a ‘Like to See’ fan-gate option and requires no skill or coding to use and works on Facebook, Twitter and websites. It’s a great app and though you do have to pay for it after 14 days, it’s highly recommended. Does exactly what it says on the tin and is a fantastic app for backing up your business’s documents. It allows you to download them directly and also keeps the same folder structure as they are on the Cloud. It can also be accessed should the Internet connection go down – a very useful little feature. Reddit’s a little bland and this app allows you to change this somewhat. This extension includes the option to add light or dark backgrounds, gain more information on the user’s profile when you mouse over it and adds improvements such as inline image viewers and better keyboard navigation. It just adds to the experience with a few nice touches. Does exactly what it says on the tin. Even though Tumblr is a blog of sorts, people tend to be more prone to curate content on it. This app allows you to do so without leaving the page. Simply select the text or image and it adds it in a quote format. As you know from our previous post, we love Evernote and this app allows you to save content with the click of a button on your browser and find it later in your notebook for later. Perfect! This is a great app for looking at images. Simply hover over the image and a larger version of the thumbnail image will appear. It’s ideal for search images, tiny Twitter profile pictures and much more. It doesn’t support GIFs yet, but it’s one you soon won’t be able to live without. So, why not perform a little download spree this week and take a look at some of these great apps for Chrome. Did we miss your favourite Google App for social media? Let us know via the comments.